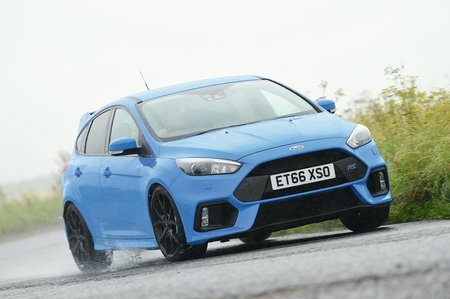 What's the used Ford Focus RS hatchback like? You only have to take one look at the Ford Focus RS to guess the sort of car it might be. Being based initially on the entirely conventional but quite handsome bodyshell of the regular Focus five-door hatchback might be a good start, but thereafter it’s fairly obviously been subjected to a course of steroid treatment that has morphed it into something more than just a mere hot hatch. It’s a mega hatch, if anything, and if you think its all-new shell gives the game away, with its spoilers and wing and wide arches, wait until you hear what’s underneath it. For starters there’s a highly tuned 2.3-litre turbocharged petrol engine that produces a whopping 345bhp, a responsive and soulful-sounding brute of a thing that does exactly what it’s meant to do without ever seeming to go any great extremes in one particular area. Its on-paper performance speaks for itself. 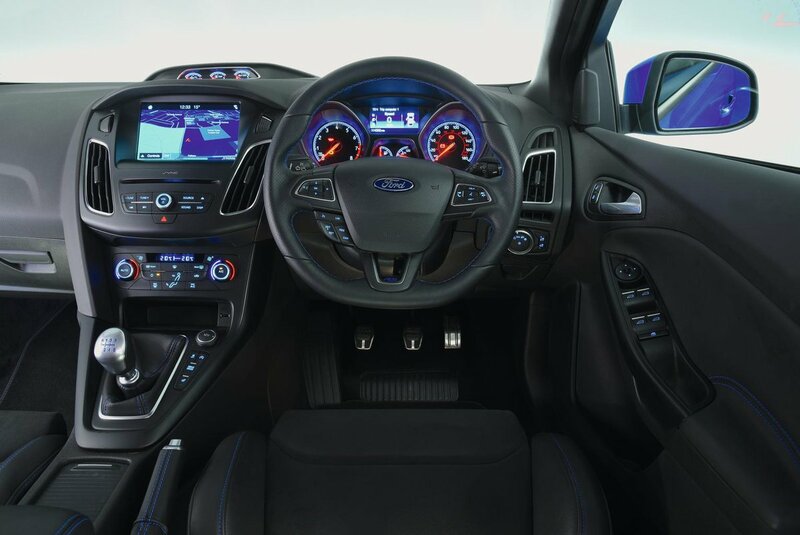 Thus equipped the Focus RS can sprint from 0 to 62mph in under 5 seconds, and that’s supercar-style performance. Part of the reason for this rapid take-off is the car’s standard four-wheel drive system, as well as a host of technological armoury including a launch control system that helps the driver achieve such impressive figures. He or she will need a little skill, though, because the Focus RS is quite deliberately available only with a six-speed manual gearbox. With a whiff of the old-fashioned fast Ford about it, the Focus RS sticks with tradition rather than leaping forward through technology, but most buyers don’t seem to mind. It feels slightly old-fashioned in the weight of its steering, too, which is heavier than the present norm, but it has to be admitted not so heavy as to be truly off putting. Perhaps the weight doesn’t matter that much, as at just two turns lock-to-lock the steering is also remarkably quick. In tight urban car parks you’ll be aware of the limited steering lock that is a flipside of this, but out on the open roads it’s a positive delight: responsive, eager and reasonably accurate. Its ride is more of a matter for some concern, though, as you’ll feel every little lump and bump that passes beneath the car, and it can be troubled by mid-corner bumps rather too easily. It’s not a quiet car, either, with plenty of engine, wind and road noise entering the interior at quite modest speeds. Inside is a dolled-up version of the standard Focus’s interior. There are Recaro sports-style bucket seats, which hold you in place nicely but are definitely not for the wide of girth. The driving position is also set rather high, although generally it’s easy to get comfortable and visibility is reasonable. The dashboard and surrounding areas are fairly standard Focus, too, and there’s an 8.0in touchscreen infotainment set-up that has rather too many difficult to hit icons. Interior quality is nothing special, with quite a few hard plastics on display. There is plenty of space up front, though, provided you can insinuate your hips into the slim seats, and a reasonable amount in the rear for two. Boot space is adequate, too, with room for a family’s luggage, although one or two rivals have much bigger offerings.